Today we start small, and I have some Mini Charm Packs to give away. I've been reminding myself what I did in my first year, and I'm shocked at how much I got done! I'm proud of the Single Girl Quilt, that was some labour of love. To win the charms, just leave a comment! Make sure you are not a NO REPLY BLOGGER as I'm not chasing winners, I need to be able to contact you. Giveaway is open to all, and will run til 18th December. Been crushing on mini charms - would love to win, thanks. Really super single girl quilt too. I, too, love how they fold so neatly over hexies, though at first I did try cutting off the corners to have even seam allowances. Congratulations! Well done you! Thank you for coming back on such a positive note -- I'd missed your posts! Thank you for the giveaway and all the best to you! Looking forward to tomorrow! That's enough of those exclamation points. That doll is so cute! Thanks for the chance! 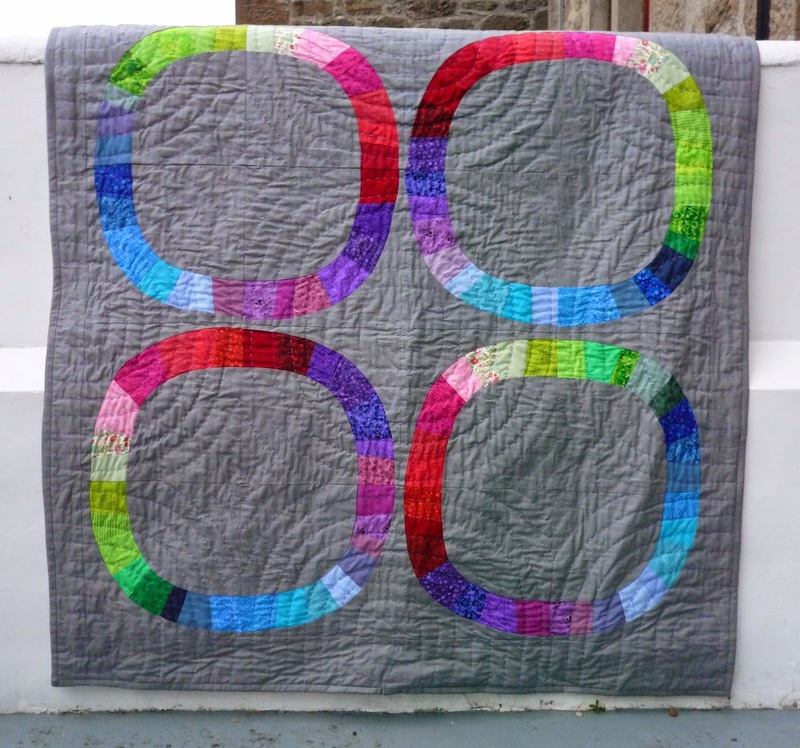 I love your Single Girl quilt - it's on my list!! 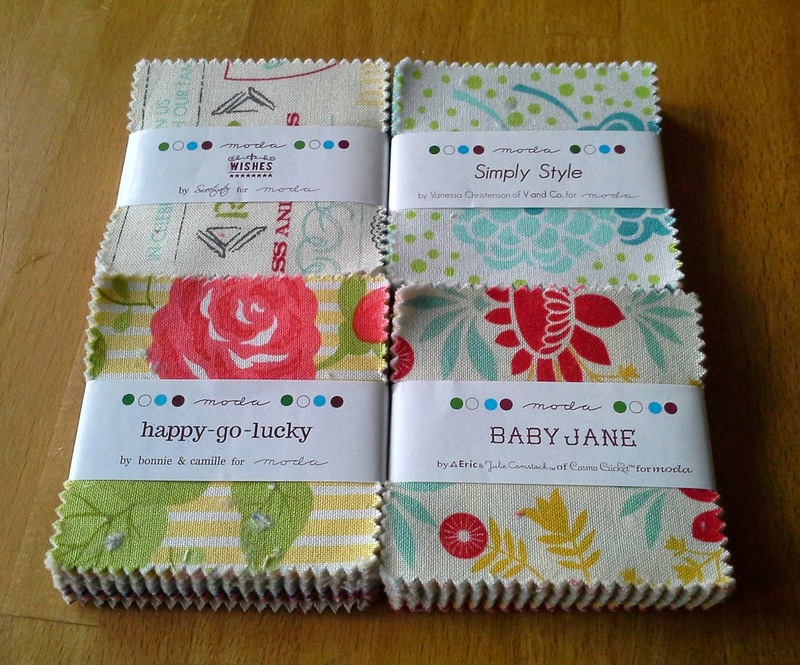 2.5" squares are perfect for EPP and so many other things. I LOVE that single girl quilt. Your single girl quilt is lovely! I totally agree that the minis are perfect for EEP hexies. Delicious! What a cute doll! Congratulations on your 4 years. Your Pob doll is amazing! Congratulations on your 4 years and those stunning makes! I love your first year of work! I have a single girl quilt on my long arm right now! I loved doing it. One of my favorite quilts so far. thanks for the giveway! I do so lobe mini-charms! A single girl is on my to do list!!! I have enjoyed following you, so I am looking forward to the next year! Oh .. I love your brother! That doll of your brother is fab!!!! I'd love to win this. emilyste7ens at g mail dot com :) Will you let your daughter play with that doll, or has he been given away? You'll have to make one for your little poppet!! 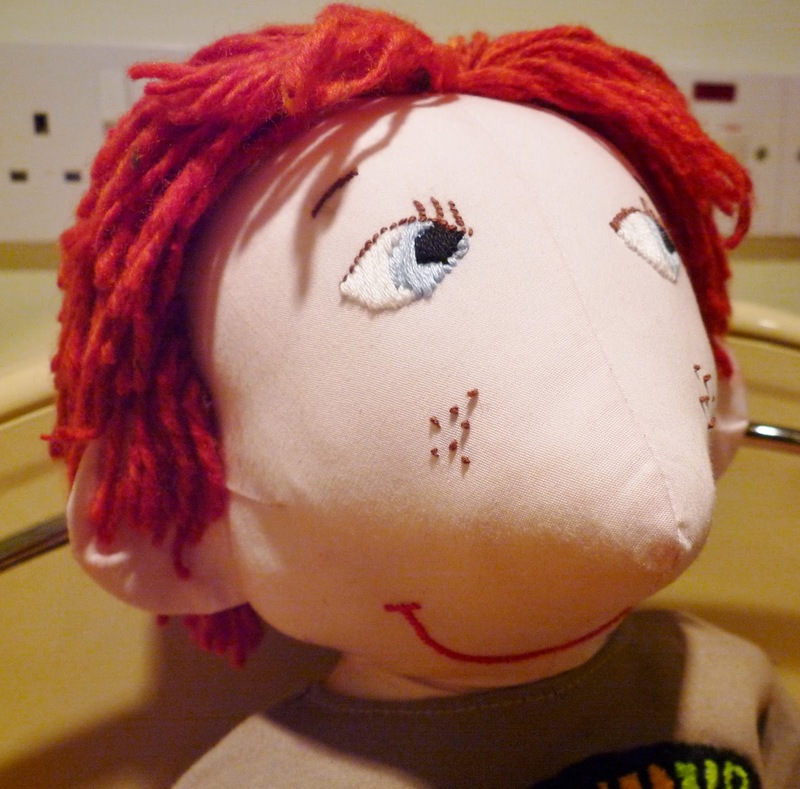 My mum made me a big doll when i was small, she was called Marigold, she was pretty awful!!! But as an adult when I laughed about remembering her, my mum was pretty hurt!! whoops!! My mum also made a horse's head on a stick type-of-thing, not sure what they are really called, and his name was Elvin. Did you know Single Girl is on my Quilt Bucket list? Wow, four years. I remember that beautiful single girl quilt, nice to see it again. Congratulations on your four years. I love the doll - the expression on his face is so funny! Charming giveaway and WOW to your Single Girl! I love the doll - I should make one of my brother-in-law! Congratulations of 4 years. I love that caricature doll. What a fun project. Mini charm packs are my mostest favourite precut cos they are so cute. Pick me!! Ohhhh......I just started a scrappy EPP; the minis would be perfect. I love your blog and find so much inspiration here. Thank you . congratulations on 4 years! It is always fun to look back and see what you have done and how much your work changes! thanks for the giveaway....I love those little mini charms, so cute!! Congrats on every day of these four years. I love mini charms too. That doll is amazing - I think you've missed your calling! What an original doll! And congratulations on 4(!!!) years of blogging! I love your blog. 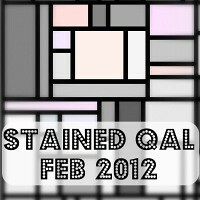 I have been a bit of a stalker as I rarely comment but I just love hearing about your quilts and life. And especially your sweet baby girl! I just found your blog and it is so much fun. You have very eclectic tastes and a great deal of talent mixed with creativity. 4 years? It's been a pleasure knowing you and reading your blog! Congrats on your 4 years bloggin, love your pob doll reminds me of a show on Irish tv in the 80's called 'Bosco' but maybe don't tell your bro this! Congrats! Love that doll! I believe I remember reading about him when you made him too! Congratulations! May you make many more quilts (and dolls!). Thank you for the giveaway. Mini charms are a wonderful invention! They have a (hem, sorry) *charm* of their own! I love the colours in your single girls quilt. My brother has red wooly hair too!